If I were to ask for the outcast of Nintendo’s beloved Legend of Zelda series, I am pretty sure I would get an overwhelming and nearly unanimous reply of Zelda II: The Adventure of Link. I’m sure I’d get a Majora’s Mask here and there from a few responses, and possibly a reference to the Philips CD-i games from a few jerks, but by and large Zelda II is always treated as a separate but not always equal entry in the series. Long considered the dark horse of the franchise, Zelda II has a lot of detractors for being so obviously different from its immediate predecessor and every other game that follows. I mean, how dare any Zelda game succumb to the level of a mere side-scroller with a massive sense of scale, genuine RPG elements, and brutal difficulty. What were they thinking?! For your information though, Zelda II is a sweet game and its quirks and differences are what make it so special in retrospective. Best of all, it is still very playable and enjoyable to this day no matter which platform you find it for. The original NES cart, a download through the Virtual Console on the 3DS, Wii, or Wii U, and even an excellent little port on the Game Boy Advance. Thanks to the simple control scheme, each original button function can be mapped to what we would label as a “standard controller,” meaning normal face buttons, shoulder buttons, a D-pad, and an analog stick or two. In fact, the same could be said about every other game in the series. All the way back to the NES classic to the Z-targeting revolution of Ocarina of Time and the dual control options for the Twilight Princess, The Legend of Zelda‘s control schemes are universal and can be construed to fit any controller Nintendo has ever made. 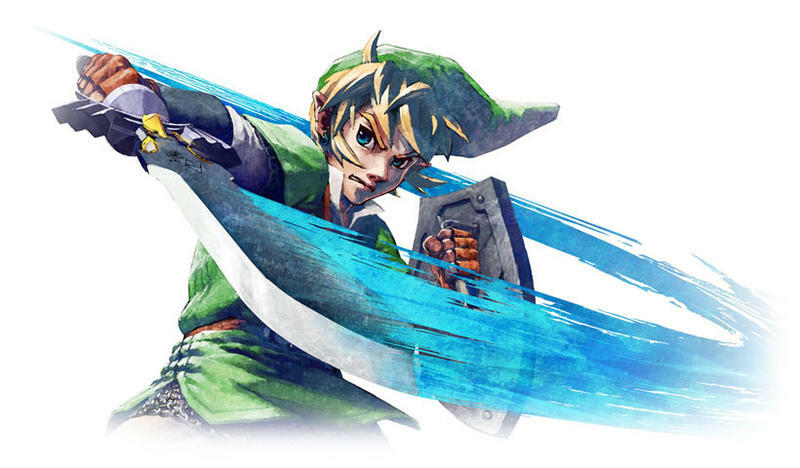 Every Legend of Zelda game… except for one: The Legend of Zelda: The Skyward Sword, a game built around an optional gimmick for an already gimmicky controller. 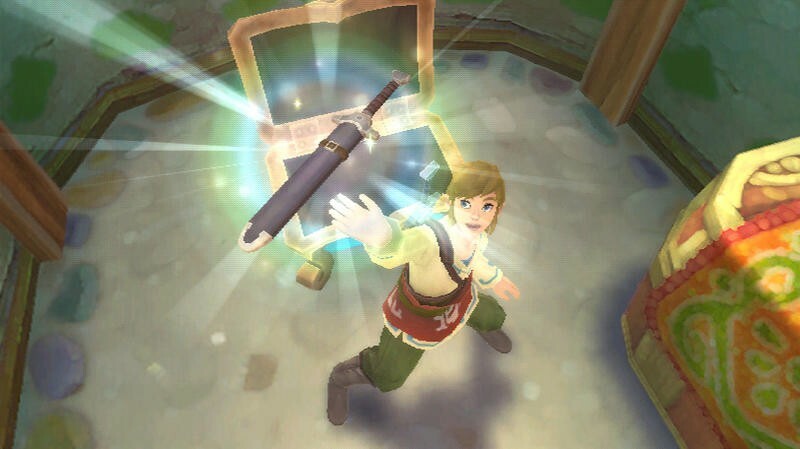 Skyward Sword requires the use of a Wii or Wii U platform, a Wii Remote with MotionPlus, and AA batteries, all technologies that might not even be available a decade from now. Its core gameplay is built around a motion gimmick that has already had its time in the sun and is quickly fading along with the other fads of gaming history. For this reason, a decade or two down the road, Zelda II will no longer be treated as an outcast, but rather, this Wii iteration of the series will not even be playable let alone be left to reevaluation for interested parties in future generations. It won’t be available for release on a compilation disc to be celebrated alongside its fellow entries in the series. It won’t be available for download services like Virtual Console. For all intents and purposes, it will be unplayable. There is no going back and mapping these motion controls to future “standard controllers,” unlike The Twilight Princess which took the backward route of mapping standard controls onto a motion controller. Without a Wii Remote and Wii MotionPlus, Link can’t function properly in a battle against even the easiest moblins to the toughest bosses without his precision strikes. Nintendo’s one-time technology is simply too ingrained in the game’s blood to replicate. Will you be owning that Wii MotionPlus adapter ten or twenty years from now? I will because I am a fan of older games and an obsessive collector like that, but I am in a huge minority on this one. Most of the Wii audience will not be so inclined to keep their Wii Remotes or Wii MotionPlus attachments now that the motion revolution is on its way out. Nintendo didn’t sell nearly enough of the gadgets to justify revisiting it down the line, and even a smaller figure is going to have them tucked away in a box somewhere, let alone the vastly smaller audience who actively uses them. The grumbling and inconvenience of having to play a Wii Remote game is happening already even now. Every time I think I want to play a certain Wii game, be it Skyward Sword or Xenoblade, I pull out my Wii-mote from the shelf just to realize that the AA batteries are already dead. I dunno about you, but I don’t actively leave those around my house anymore, and that leaves me with three options. I can poach batteries from a television remote, and get in trouble with my fiancee after I forget to put them back. No thank you. I can charge them, which will take just enough time to let my itch to play a Wii game pass. I can go buy new ones at the convenience store, but why not just play free-to-play games and get ripped off by micro-transactions? That’s a lot of hassle to go through just to play a simple video game on a console that barely had enough quality games worth revisiting. I can just play something on my PlayStation 3, Nintendo 3DS, or PS Vita, which are all set and good to go whenever I am equally ready to go. So what can Nintendo do to make sure that this one sole game remains viable in the future? Well, the obvious step would be to incorporate Wii-mote and Wii MotionPlus support in every video game console it makes for the rest of time. This is not going to happen in the slightest. Backwards compatibility is a lucky break if we get to dive back even a single generation, let alone two, three, or four. Nintendo is not going to continue Wii support for that long, and I am also sure it is looking to get beyond the Wii brand as soon as possible. Nintendo can go back and gut the game of its smart Wii MotionPlus gameplay, but then, it’s not the same game anymore, is it? It can salvage the nice story, the beautiful setting, the splendid art, the fabulous level design, and the unique tools and weapons, but what is the point of playing a game without the core mechanic which was used to sell it. Just because the combat won’t stand the test of time for technological reasons doesn’t mean it’s not a blast! Without the Wii MotionPlus option, these bosses and dungeons become below standard affairs which can’t stand up to the best the series has to offer like in The Wind Waker. True, but for one thing, those games are really lame. Second, touch controls are proving to have a much longer life than that of motion controls, which, thanks to the imminent death of the Kinect, are already on the way out. There will be another Nintendo device in the future which can replicate the touch controls of its DS games without losing anything in the process. 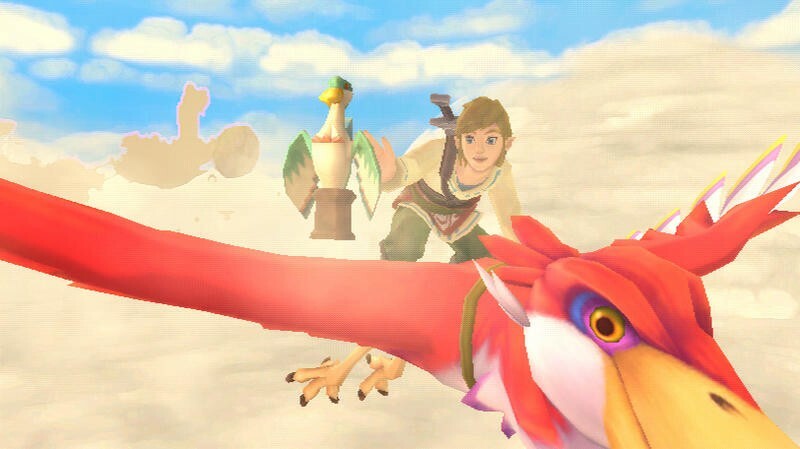 Unless Nintendo can revolutionize motion controls once again, which I don’t think it can, Skyward Sword simply can’t be played or re-created. I have a reputation for being a guy who lingers a little too much in the past, but that’s never going to change. I love playing old games, and I love the nostalgic feeling I get when I dive into a classic favorite of mine, especially Legend of Zelda games. Not a thing I’ve written applies to me because I will still have a Wii-mote, a Wii MotionPlus, a Wii or Wii U console, and the game disc available to me 20, 30, or 40 years from now. Not everyone looks at games the same way, and most modern gamers only look to the future for thrills and don’t dwell in the past. That’s totally fine, but it means we won’t be able to preserve games that should be kept intact. Decades from now, Ocarina of Time or Link to the Past might still be remembered as game-changing masterpieces that can be enjoyed with whatever control scheme the gaming entities of tomorrow have come up with. The Wind Waker and Majora’s Mask might still be on people’s minds as fun and outstanding takes on the formula. 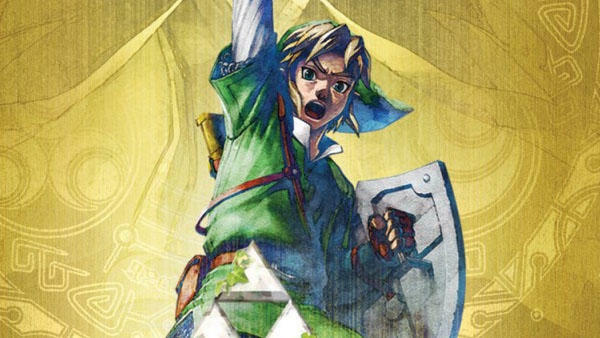 Even future Legend of Zelda games might be well remembered if they have the same impact as every other game in the series. 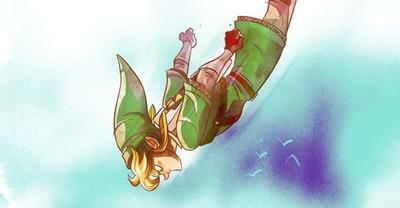 The Skyward Sword will not, and for all the wrong reasons. It’s a very fun game with a lot of great ideas, but sadly it is a game that is built around a gimmick of the times. Normally, most games which do this deserve to be forgotten. Products of the time which can’t last on the market are what we call irrelevant “fads,” and they come and go more often than we realize. However, this product of its time happens to be an integral part of something that is, both in the real-world and its own fictional universe, timeless: The Legend of Zelda series. This is the danger of building games around gaming technology that is not built to last or be supported for however long this whole “video game” idea remains on the forefront of our minds. 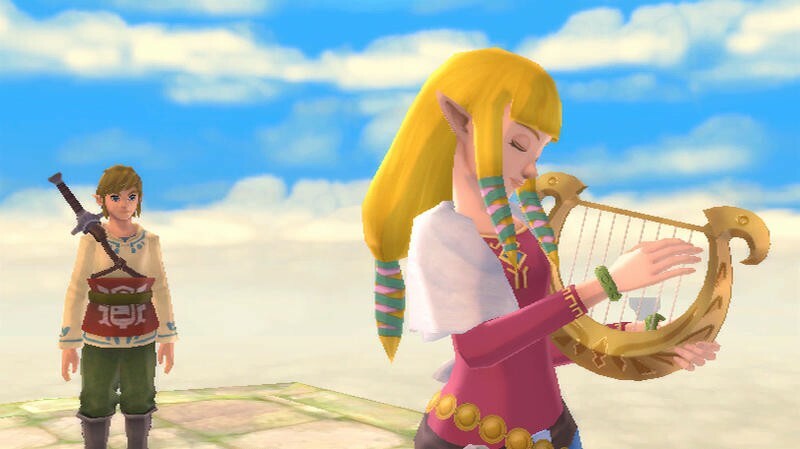 We got lucky getting a few extra years out of Skyward Sword thanks to Nintendo incorporating Wii backwards capability into the Wii U, but once this console generation is over, its shelf life will be as well. Unless Nintendo can think of a way to keep this game just as playable without the Wii MotionPlus adapter or equipped Remotes, it will become a forgotten relic and future outcast of the series. That is a real shame, because it is one solid Legend of Zelda game. For its sake, I hope you are not like Link and you keep your gear intact after each quest, because without that Wii-mote or Wii MotionPlus, you won’t be enjoying this game in any other way.